[Let’s look at different studies which use different techniques to determine what Jesus looked like. First we’ll look at a letter which said that Jesus was tall and fair haired; which makes it sound as if he was white. Here are 2 separate articles which tackle the topic of what Jesus looked like from different angles. A quick Google search of “Jesus” will pull up an assortment of images showing a tall, white guy with long, blondish hair and a beard. But what did Jesus really look like? In her new book, a scholar says Jesus probably didn’t look anything like this modern picture. The Gospels in the Bible say that Jesus was a Jew who was born around 4 B.C. in Bethlehem and lived in Egypt as a child for a short time before moving to Nazareth. These writings make no mention of what Jesus looked like, aside from some references to the clothing that he and his disciples wore, wrote Joan Taylor, professor of Christian Origins and Second Temple Judaism at King’s College London, in her book “What Did Jesus Look Like?” (T&T Clark, 2018). Even so, both Moses (the prophet said to have led the Israelites) and David, who the Bible says killed Goliath, were described as being handsome figures in the Hebrew Bible. Additionally, the earliest artistic depictions of Jesus date to at least two centuries after he died, and they provide little credible information about what Jesus may have looked like, Taylor wrote in her book. To get an idea of Jesus’ visage, Taylor turned to archaeology and texts that provide clues about the general appearance of Jews in Judea and Egypt at the time Jesus lived. She also looked at artistic images on coins and Egyptian mummy paintings. According to Taylor’s research, rather than towering over others in Judea, Jesus was about 5 foot 5 inches (1.7 meters) tall, or the average height seen in skeletal remains from males there at the time. People in Judea and Egypt tended to have brown eyes, black hair and olive-brown skin, based on surviving archaeological remains, historical texts and depictions of people seen in mummy portraits from Egypt, Taylor said in her book. Historical records also showed that people in Judea tended to keep their hair (and beards) reasonably short and well-combed, probably to keep out lice, a big problem at the time, Taylor said. Jesus likely did the same. He could have used a knife to trim his hair and beard, Taylor said, noting that people in the ancient world tended to be more skilled with knives than people are today. Some aspects of Jesus’ face, such as his mouth and cheeks, are anyone’s guess, Taylor said. He may have had facial scars or skin damage from his work as a carpenter, but there’s no way to tell, Taylor said. She said she is skeptical of depictions of Jesus that show him as being very handsome. If Jesus were handsome, Taylor said, the gospel writers, or other early Christian writers, would have said so, as they did for Moses and David. The gospels, along with surviving archaeological remains, do provide some hints about Jesus’ clothing. He likely wore a woolen, undyed tunic that left his lower legs bare; possibly a loincloth; and a “mantle,” or outer cloak, to stay warm. His shoes would have looked like modern-day sandals, and the high price of clothing meant that Jesus likely did a lot of mending. Also, unless someone provided him with fresh clothing, what he wore would become more tattered as time went on. From his clothing, “I think what you would recognize Jesus as being is just really someone who looked very poor,” Taylor said. Among the biblical scholars who have read Taylor’s book, Helen Bond, a professor of theology at the University of Edinburgh in Scotland, and Jim West, an adjunct professor of biblical studies at Ming Hua Theological College in Hong Kong, gave the work generally positive reviews. Is this what Jesus really looked like? 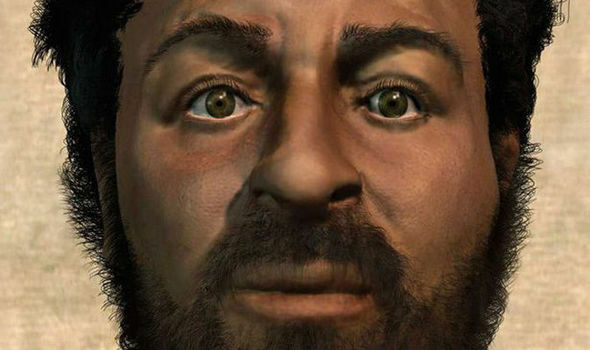 FORENSIC experts have pieced together what they perceive to be the real face of Jesus Christ, and it is not the Caucasian man with long hair that is often depicted of the Messiah. 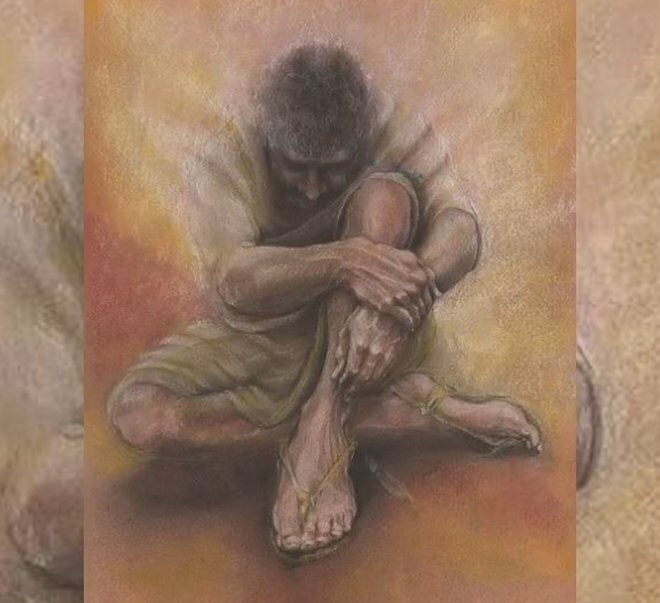 Retired medical artist Richard Neave created an image of Christ which he believes is a better representation of the Son of God. Rather than having the long flowing locks, Caucasian skin and blue eyes, the scientifically created image of Christ has short brown hair, a Middle Eastern complexion and dark brown eyes. The forensic experts came to the conclusion that this is likely to be what Christ more looks like by analysing the texts of the Bible where Judas describes to the guards what Jesus looks like so that they can tell him apart from the other disciples. Mr Neave and his team were also gifted Semite skulls from around the time that Jesus lived by Israeli archaeologists and Neave and co created X-ray “slices” of the skull to give a better feeling for his features. Mr Neave explained the process to the BBC: “I made a plaster cast of the skull which gives me something to work on. “Then I put clay over it and, using soft tissue measurements, build up the anatomy of the face. Keeping with Jewish tradition, the team also believed that Christ was likely to have short hair with tight curls and a short beard. At the time, the average build of a Semite would have been about five foot tall and as he worked as a carpenter, it is thought that his skin would be more weather-beaten than most. I doubt you are a white man. Would you buy a used car from this Jesus? Since Jesus as a godman never existed he can be anything people imagine him to be.In this day he is a liberal mad man! 13 Pics: WW2: VERY BRAVE WHITE WOMAN: Eva Hitler’s last letter: This is the time to die – Shed no tears over our deaths!